In the last two years, tensions have been increasing between the University administration and me regarding the financial relationship between the University and the School of Law. When I was a candidate for the Deanship, I was aware that, historically, the University retained a high percentage of the revenue generated by the law school. I was assured by the President at that time that he was aware of the problem and would work with me to remedy it over time. As I began my deanship, I realized that the law school did not possess accurate data in many areas, including its financial situation. 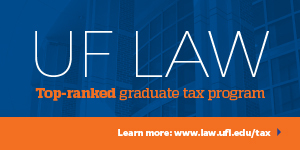 Obtaining accurate financial data regarding the School of Law has not been an easy task. ... My insistence on having accurate data has exacerbated the difficulties between the University and me. The financial data demonstrates that the amount and percentage of the law school revenue retained by the University has increased, particularly over the last two years. For the most recent academic year (AY 10-11), our tuition increase generated $1,455,650 in additional revenue. Of that amount, the School of Law budget increased by only $80,774. I do not know of any law school in the country receiving such a small percentage of its generated tuition revenue. A recent article in The New York Times noted that a 25-30% revenue retention by a university was considered high by national standards. As of academic year 2010-11, the University retained approximately 45% of the revenue generated by law tuition, fees and state subsidy. Using any reasonable calculation of the direct and indirect University costs, the University was still diverting millions of dollars in law school revenue to non-law University functions. The unwillingness of the University to discuss in a meaningful way the growing imbalance in the financial relationship was also becoming a matter of principle to me. We have increased our in-state tuition over 70% and our out-of-state tuition over 48% in the last seven years. Our in-state day students last year paid $1,450 more in tuition and fees than University of Maryland law day students and our in-state part-time students paid $2,080 more than the University of Maryland law part-time students. Of our students in the 2010 graduating class who borrowed money, the average law school debt was over $95,000. Media reports continually criticized the rising costs of legal education. I was becoming increasingly uncomfortable justifying tuition and fee increases to law students when the money was actually being used to fund non-law University initiatives. I was also concerned about my continuing effectiveness as Dean given statements by University officials that there were no plans to remedy the situation and that significant funding for School of Law programs was not a University priority. 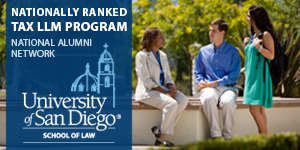 I am grateful for my four years as Dean of the School of Law. I am pleased to say that I am leaving the school in excellent shape. Our US News ranking has jumped from 170 to 117, with another jump projected in March 2012. Our new building is on schedule to open in January of 2013. In my four years, we have hired an amazing new group of faculty members. We are teaching better, writing more, and increasing our national reputation for academic quality. We have opened a number of new Centers, highlighted by our collaboration with the Johns Hopkins School of Medicine in the Center for Medicine and Law. Our bar passage rates are up and our student organizations are thriving. Our entering class in 2011 is our most highly qualified ever and is incredibly diverse. We offer hundreds of internships and our presence in Washington, DC is expanding. 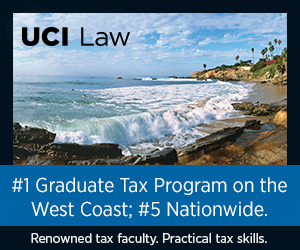 In sum, we are improving significantly in every manner by which a law school is measured. The ABA site visit team noted that they had never observed so many excellent classroom teachers, both full-time and adjunct, in one school. They also noted that they had never visited a law school in which everyone seemed so happy. I can’t think of two better compliments for a law dean. Dean Closius has been such an excellent dean at UB. His being asked to resign is a great injustice. Note that this is not about how much tuition students are charged. It is about how much the Law School gets to keep. If that does not indicate that the system is broken, I don't know what will. Maybe I'm naive, but it's hard to imagine that the percentage of tuition money that this University of Baltimore takes from its Law School will remain so high after the public release of the ex-Dean's letter. The University will likely release a face-saving "we we're gonna do that all along" letter as they do so. I like the cut of Dean Closius' jib, and I have someone, finally, in the law education field to admire. Not all law school deans are cringing hacks, I guess. Undoubtedly the teachers of sociology, education, womens studies and such need some source of revenue to pay their salaries. They outnumber and out vote the law school faculty so they pervail. It's interesting to see the national drama of the productive subsidizing the unproductive via the progressive tax system play out in the most left-wing of settings, the University. I don't agree with his complaint. A dean is an employee, not a CEO. His superior, the President, shouldn't have to explain divisional cash flows to him. And customers don't need explanations of costs and cash flows either--- just of what hte quality of the product is. Or, if we take a more academic framework, why should the rich law school, basically a trade school, get to be even richer at the expense of more academic departments such as physics and history? tuition if it doesn't get a significant portion of the raise? news will be all those who teach in these "Studies" programs will have to find a real job. @Willis - Seems to me if the law school is a "trade school," then maybe these "divisional cash flows" need to be examined to determine whether or not they are "Unrelated Business Taxable Income" (Google it). Oh, that's right, the academy doesn't think it should PAY taxes, just agitate for higher taxes for everyone else.